Black migration to the Lower Rio Grande will be explored. 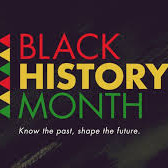 A special guest lecturer will help Texas A&M International University observed National Black History Month 2017 at TAMIU Monday, Feb. 27 at 11:45 a.m. in the TAMIU Student Center Auditorium, room 236. Cassandra Wheeler, director of TAMIU’s Office of Career Services, which is hosting Dr. Rodríguez’ visit, said the University is excited to have Dr. Rodríguez highlight its Black History Month observation. “We’re looking forward to hearing about Dr. Rodríguez’ research, which has profound relevance to our region and affords us all a rare opportunity to explore Black migration here,” Wheeler said. Rodríguez is an assistant professor of History, managing editor of The Journal of South Texas History and coordinator of publications for the Institute for Architectural Engineering at TAMU-K. He has published: Mexican American Baseball in the Alamo Region (Charleston: Arcadia Publishing, 2015), “Ponte El Guante! Baseball on the US/Mexican Border: The Game and Community Building, 1920s-1970s,” The Journal of the West (Fall 2015), “Spanish Southern States Recording Expedition,” with Rene Torres, Journal of Texas Music History (Fall 2016) and “Africana Aesthetics: Creating a Critical Black Narrative from Photographs in South Texas” in Africana Theory, Policy, and Leadership: A Social Science Analysis edited by James L. Conyers, Jr. (Transaction Publishers: 2016). His upcoming projects Urban Borderlands: Anglos, Mexicans, and African Americans in South Texas 1929-1964 and Rancho La Union: A Transnational History of the Borderlands, are comparative multi-ethnic analyses of the Lower Rio Grande Valley, focusing on race relations in American and Borderland society, with a specialty in Mexican American and African American encounters. Rodríguez holds a Ph.D. from the University of Houston in 20th Century American History with a minor in Women’s Studies and teaches courses on Latino History, Mexican American History, Chicano History, Texas History and African American History. For additional information, contact Cassandra Wheeler, Career Services director, at 326.4473, email cwheeler@tamiu.edu, or visit offices in the Student Center, Suite 114.